So I know, it’s been almost 2 whole months since NYE. What are we doing posting this now? Well, to be honest, I forgot to post this and then I thought today, why not? People might be interested to know how NYE is celebrated here and maybe how we celebrated. 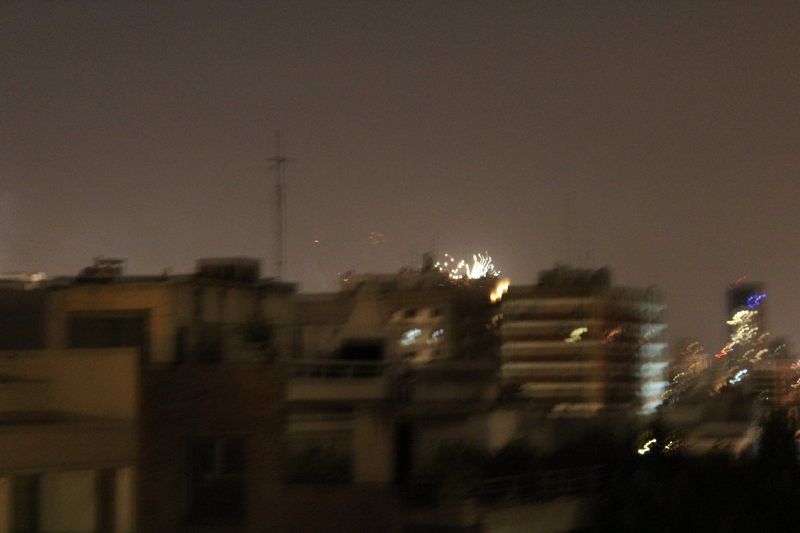 So here you are: New Years Eve in Buenos Aires! 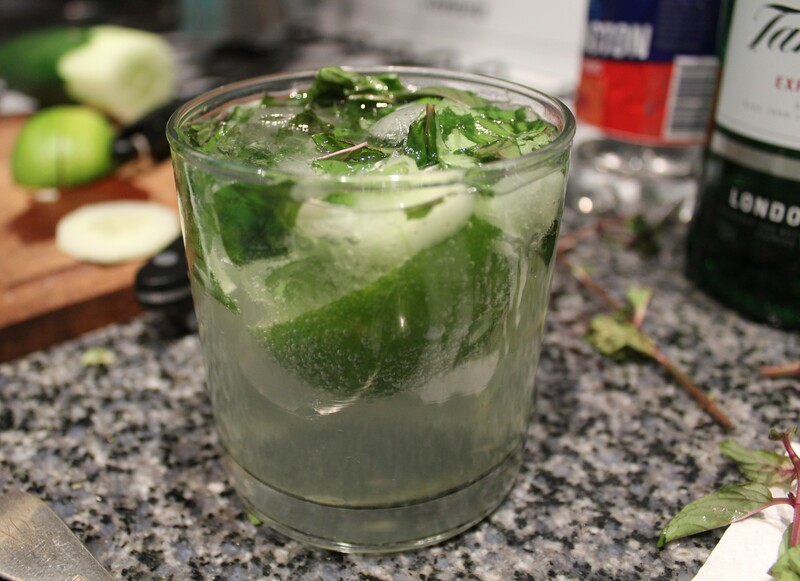 Our night started with a little dinner at home and some homemade lime-cucumber-basil-mint gin and tonics while we (meaning I) got ready to go. 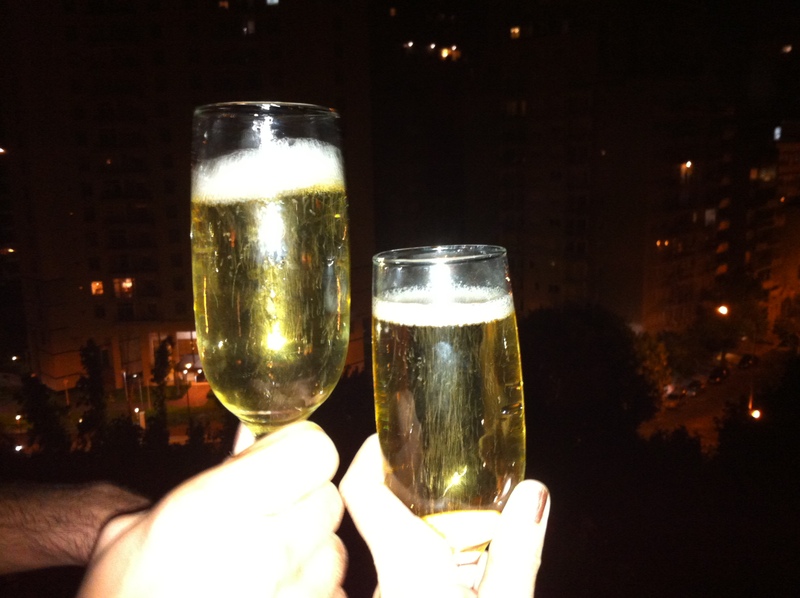 Because night life in Buenos Aires doesn’t start until after midnight, we celebrated the stroke of midnight with a couple glasses of bubbly on the roof of our apartment building which has a pretty good view across the city. 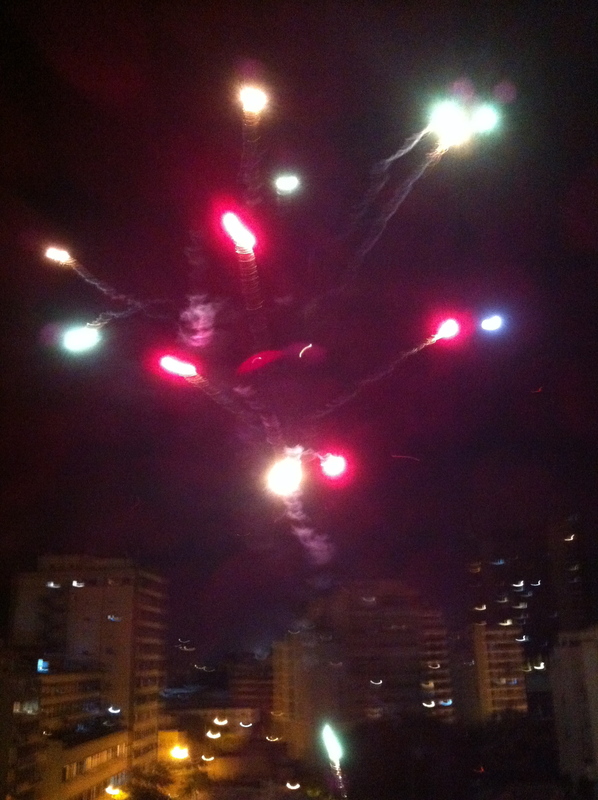 The city celebrates the new year by shooting off fireworks (fuegos artificiales) all around the city. Unfortunately, though we were pretty high up, the buildings around blocked the best views of the fireworks. We were able to get the edges though along with the light and sounds, which were really all around us (as you’ll see in a video below). The week or so before New Years Eve bazaars everywhere were selling tons of fireworks and people were shooting them off all over the place. Neighbors in the building next to us were shooting bottle rockets off their terraces and people down in the street were shooting them off the train tracks. Safe, I know. There were actually over 45 people in the Ciudad Autonomo that went to the hospital for burn injuries from fireworks. In the moment though, everyone did look like they were having a good time. 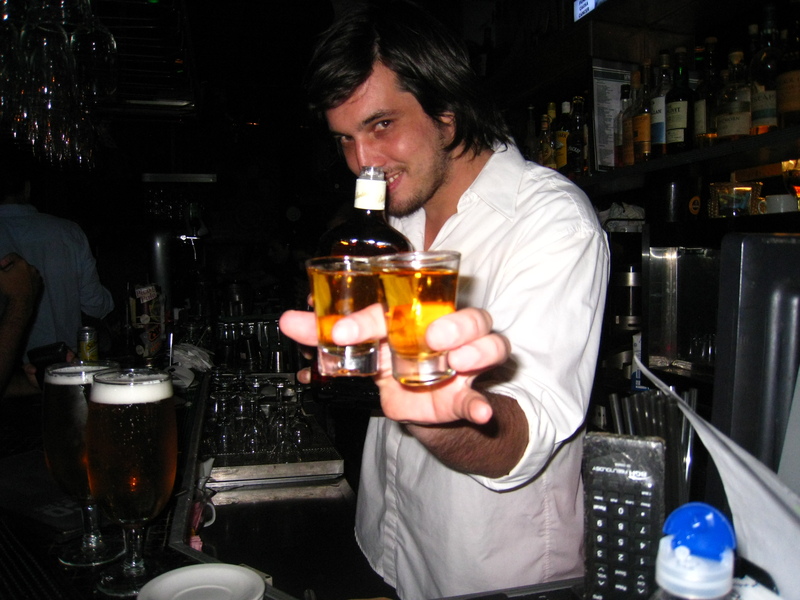 We had big plans to go to a party at a club that was close to our house (Palermo Hollywood has a lot of bars and clubs). A group that hosts parties for international travelers and porteños was having a big party at a local club. This is pretty common around here – lots of big sponsored parties at clubs. Most people will go to these clubs, bars or some house parties. But I think mostly people will go house parties until after midnight and then out to clubs. Not so different from NYC or other big cities. Except it goes a lot later. Well, although we were in the middle of summer, starting around 5pm that day the weather turned cold and windy. Unfortunately Jesse and I did not take heed of the current weather and wore thin summer time clothes. We were both pretty frigid walking around. When we saw a long long line outside the club, we scrapped that idea and went in search of a bar to pop into. So many peopler were out and about and the city was really alive. The bars that were open were packed, but we finally found a place not too far from our house that looked fun and warm. We got a couple drinks to warm ourselves up and start the night and ended up having a great time. We met some really nice people from Santiago, Chile and exchanged some interesting information, trying to understand their Spanish with the loud music blaring and everybody yelling. By the time made it back to the house, dawn was approaching and we were pretty exhausted but very happy to have experienced the New Year in such a vibrant welcoming city.